In a busy, screen-filled life, it’s a treat when I have a free hour and a great book in my hands. Add in a little sunshine and I’m immensely grateful. That’s one reason why I was happy to “spring forward” last week—lighter, later, is a lovely time to read. If you’re also enjoying the evening light, or if you’re getting ready for spring break, grab one of my current fave top leadership books. Each is red cape revolutionary in their own right—smart and fun, easy-to-read and mentally stimulating. Plus, they’re great, career-building alternatives to whatever James Patterson is writing next (no offense, JP, but prolific isn’t a replacement for profound. But I digress.) 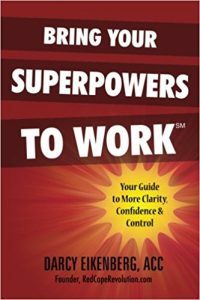 Read one soon—it’ll help your bring your superpowers to work. 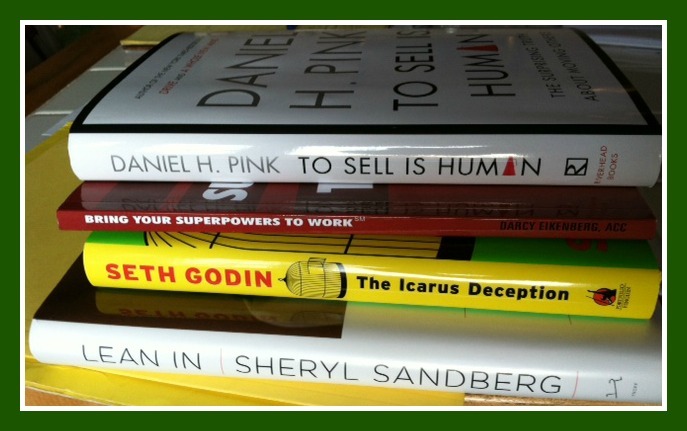 I confess—I have a geek crush on author Daniel Pink. 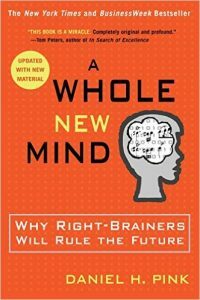 I started to fall after reading “A Whole New Mind: Why Right-Brainers Will Rule the Future“ and he reeled me in during “Drive: The Surprising Truth About What Motivates Us “. My friends at The Coca-Cola Company recently hosted Pink to talk about the ideas in his book, and they invited me join them (so thankful for great clients!). 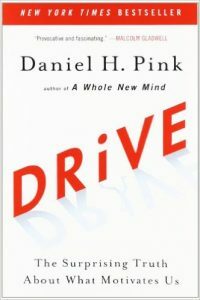 Pink shared that after he’d written Drive (which showed how traditional workplace “carrots and sticks” no longer work for most people and most jobs) he was asked over and over again whether it was different for people in sales. And so he began researching. 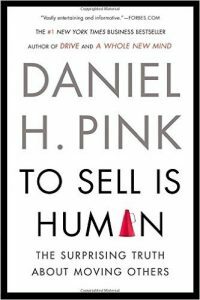 I’ve always found Pink’s work deep without being dull; academic without attitude, fun and fundamentally perspective-changing. If you want to enjoy yourself while getting smarter, read this book. If you were scandalized by Yahoo CEO Marissa Mayer ending work-at-home arrangements (read my take on it here), you may not be ready for the straight talk and non-politically correct ideas shared by Facebook chief operating officer Sheryl Sandberg. But if you’re a successful woman in today’s workplace—or someone who loves one—take a closer look. Sandberg shares data that women are not making it to the leadership levels of any profession anywhere in the world. In fact, even though women represent 50% of the world’s population, they make up about 16% of leadership in the corporate sector– numbers that haven’t increased since 2002. Ouch. Why do women avoid leaning in? Sandberg talks about the often-discussed issues of raising a family, but also shows how women systematically underestimate their own abilities, don’t negotiate for themselves and generally attribute their success to external factors rather than their own abilities and effort. 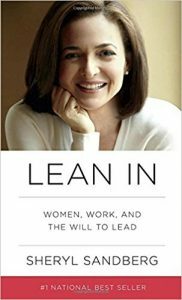 The book and website at LeanIn.org provide tools all of us (yup, guys too) can use to change the current balance of women in leadership—which may just change the world. In a world where extroverts seem to rule and introverts may feel powerless, Kahnweiler says there is more than one way to have some sway, noting that even extroverts can learn a few things from their quiet co-workers. 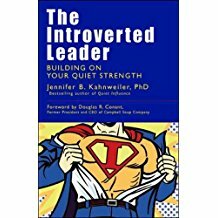 Kahnweiler proves that when they use their natural strengths, introverts can be highly effective influencers. They don’t have to try to act like extroverts. Really. 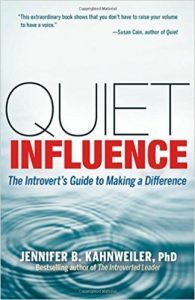 The book shares a quiz readers can use to determine their “Quiet Influence Quotient, ” and shows how to use introverted strengths to challenge the status quo and create change. Kahnweiler’s work is important not just for those who label themselves introverts, but also for those of us who major in extroversion as we learn to be better co-workers, managers, and leaders for everyone. Remember your Greek mythology? Me either, so let’s review. Icarus was an ambitious guy who put on wax wings, but was told not to fly too close to the sun lest they melt. We’re often given this example as a warning not to get too big for our britches or overstep our place. But Godin reminds us of the original text—that Icarus was also told not to fly too low, lest the mist of the sea weigh his wings down. And he believes that most of us are flying too low. Following up on his ideas in Linchpin: Are You Indispensible?, Godin explains why the current models of work aren’t working, and how we can individually take control and make choices to make not only a difference in our work but a difference in our lives. 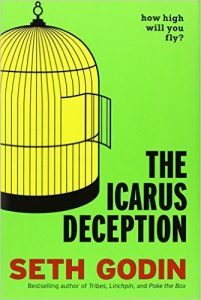 Using Icarus as an example, Godin believes we’ve been taught to just do what we’re told–to keep our heads down and follow the rules. However, the time when that worked has dramatically ended, and in the highly-connected, rule-breaking economy we live in now, the only work that will make a difference is not the ordinary and safe, but the daring, the unique–what he refers to as art. 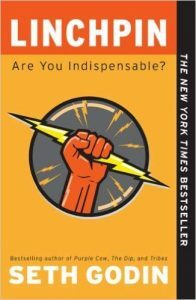 If you’re looking for inspiration about how you can change your life at work (and if you’re here at RedCapeRevolution.com, my guess is that you are), Godin is a definite read. YOUR TURN: What are your top leadership books? Tell us about them (and why you like them) in the comments below, or on Facebook. Like this article? Please help us share great ideas with others you know by sharing it! Just use the buttons above and below. Plus, get more articles like this directly in your inbox when you register for our email updates here.